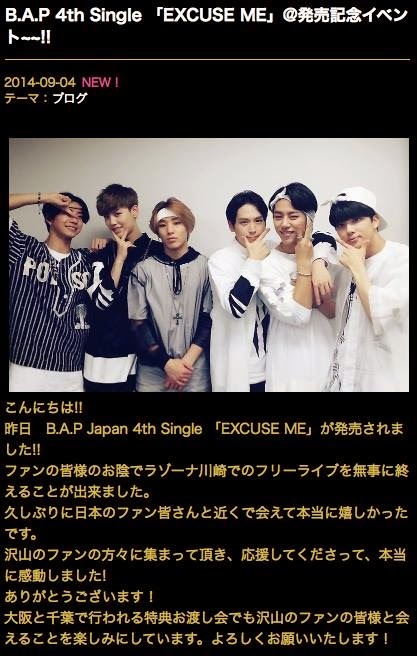 B.A.P 4th Single "Excuse Me" at Release event! 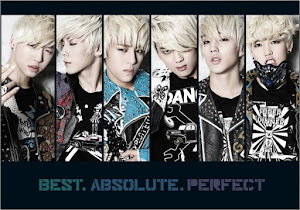 Yesterday B.A.P's 4th single was released! Thanks to all the fans the event at Lazona went off without a hitch. It's been a while since meeting Japanese fans up close, we are very happy. Many fans gathered and cheered for us, we are truly moved! 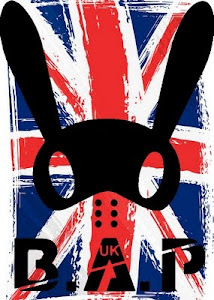 We'll be able to have fun meeting many fans at the photocard hand out events in Osaka and Chiba.